Follow the steps below to add a date picker to your store. 1. Navigate to your Infinite Options dashboard. 2. Create an option with a Text input type. 3. Click on the arrow or Label field to display the additional settings. 4. 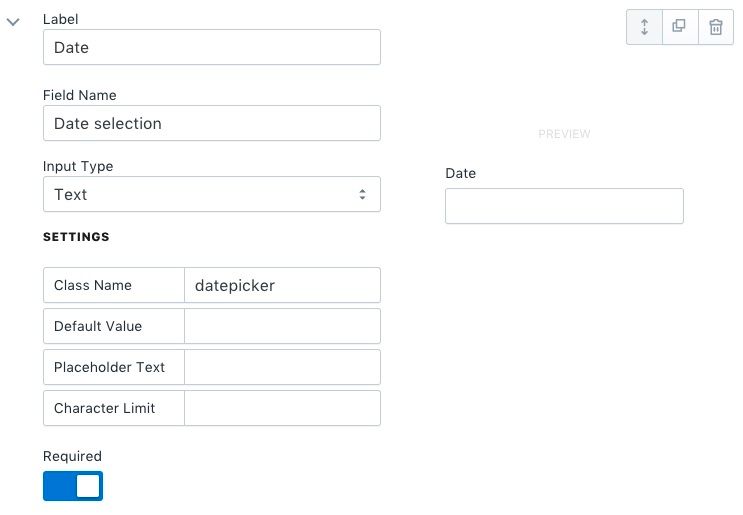 Set the Class Name to datepicker. 1. On the left side, under the Layout heading, click on the theme.liquid file. 2. 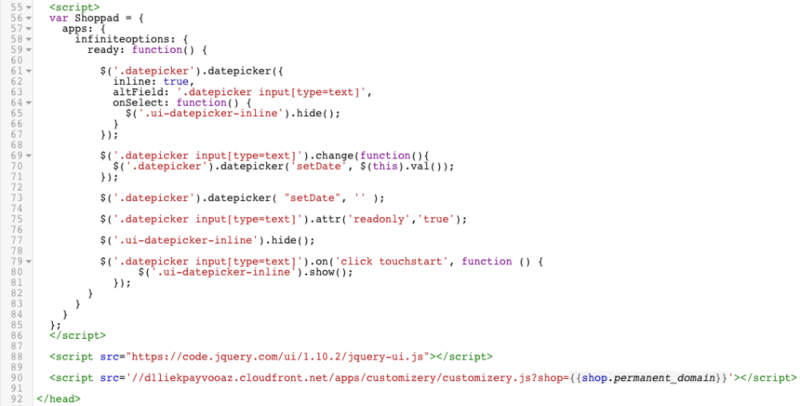 Copy the following code snippet. // If the target of the click isn't the container nor a descendant of the container. 3. Paste the snippet BEFORE the closing </head> tag. 1. On the left side, click on the Assets folder to reveal its contents. 2. Open your main CSS file (usually named theme.scss.liquid, timber.scss.liquid, or styles.scss.liquid), then scroll to the bottom of the document. 3. Copy and paste the code snippet below at the bottom of that file. 5. For more customization options for the date picker, check out our guide here: Click me! Need assistance? Our support team is here to help. All you have to do is request the Expert Install Service from your Infinite Options dashboard and we can get this feature added for you.